A growing body of evidence from animal studies and observational studies in humans suggests adverse effects on behavior, learning, and memory may result from exposure to anesthetics and sedation during periods of rapid brain development. 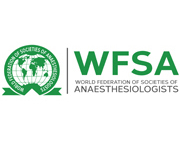 In 2014 the International Anesthesia Research Society and US Food and Drug Administration convened a group of experts in anesthesia, pediatric medicine, neuroscience, and patient safety to consider the evidence and what it means for health care providers and parents. 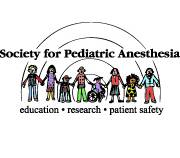 The SmartTots Consensus Statement on the Use of Anesthetic and Sedative Drugs in Infants and Toddlers is the result of many hours of deliberation by that diverse group of experts along with feedback from more than 20 stakeholder organizations. This Consensus Statement is endorsed by the FDA and the additional health care organizations delineated below. Each year, millions of infants and toddlers require anesthesia and/or sedation for surgery, procedures, and tests. Concern has been raised about the safety of the medicines used for anesthesia and sedation in young children. This concern is based on research in animals demonstrating long-term, possibly permanent, injury to the developing brain caused by exposure to these medicines.This injury results in abnormalities in behavior, learning, and memory in animals. The effect of exposure to anesthetic drugs in young children is unknown; however, some but not all studies have suggested that problems similar to those seen in animals could also occur in infants and toddlers. It is important to recognize that the studies in children suggest that similar deficits may occur. These studies in children have limitations that prevent experts from understanding whether the harmful effects were due to the anesthetic drugs or to other factors such as the surgery or related illness. Better research is required to understand whether children are harmed and if so, what alternative medicines might be used to minimize risk from anesthesia. Answers to questions from parents and caregivers related to these risks should highlight the differences between research findings in animals and children and the uncertainty of any effect in children. It may also be emphasized that because most anesthetic drugs have been shown to cause injury in animal experiments, no specific medications or technique can be chosen that are safer than any other. Clearly, anesthetic drugs are a necessary part of the care of children needing any surgery, procedure, or test that cannot be delayed. Decisions regarding the timing of a procedure requiring anesthesia should be discussed with all members of the care team as well as the family or caregiver before proceeding. The benefits of an elective procedure should always be weighed against all of the risks associated with anesthesia and surgery. Discuss the timing of planned procedures with your child’s primary care physician, surgeon/proceduralist and anesthesiologist. Concerns regarding the unknown risk of anesthetic exposure to your child’s brain development must be weighed against the potential harm associated with cancelling or delaying a needed procedure. Each child’s care must be evaluated individually based on age, type and urgency of the procedure and other health factors. Your child’s doctors are best able to provide this advice. If you desire additional information and updates on current research, please go to smarttots.org.